﻿ Best Price on Cabinas Pura Vida Bed & Breakfast in Drake Bay + Reviews! 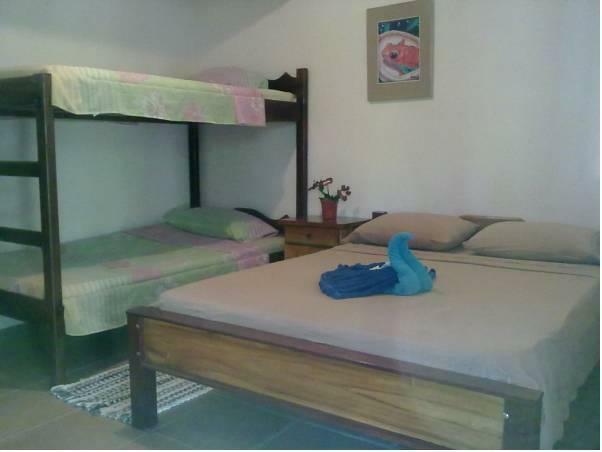 Cabinas Pura Vida is located in Drake, only 1312 feet from the Agujitas Beach. It offers Breakfast included, A/C rooms, private bathroom with shower, a shared kitchen, wooden furniture, WiFi access and private parking on site. Guests can also relax on the hammocks while enjoying views of the on-site garden. Cabinas Pura Vida can arrange tours to visit Corcovado National Park and Cano Island by boat where guests can enjoy activities such as snorkeling and diving. Please note that if guests pay with a credit card, an extra fee will be charged.